Although the use of Affirmative Action as policy and legislation is controversial, serious discourse and thought is needed that goes beyond the limitations of Affirmative Action. In Race Matters, Cornel West, one of the most liberal scholars and thinkers living, contends that Affirmative Action cannot completely ensure equity and access for historically marginalized and economically and socially disadvantaged people in the workplace, education, and governmental contracts. He argues that Affirmative Action was never intended to be a total remedy for redressing the history of racial discrimination, violence, and prejudice and Jim Crow laws African-Americans were subjected to. West believes that Affirmative Action was an attempt by liberal Whites to appease Blacks, but not give them the full access and equity that they need in the workplace, education, and governmental contracting. While people are still debating about the fairness, usefulness, and purpose of Affirmative Action, it no longer exists in many places. Many states like Michigan, Alaska, Oregon, California, and Washington have passed legislation outlawing the use of Affirmative Action. With the delicate 5-4 balance on the U.S. Supreme Court that allows the use of Affirmative Action to remain constitutional, we need to consider alternatives to it. The purpose of this article is to offer higher education institutions, especially predominantly White selective institutions, alternatives to Affirmative Action that aim to move us closer to total equity and access for people of color in higher education. I am completely exhausted with hearing higher education institutions talk about how important diversity is to them. For example, the University of Wisconsin-Madison, the institution in which I attend, has hired a Vice Provost for Diversity and Climate, Damon Williams, an African-American male, to ameliorate diversity on our campus. One can find a position like his at almost every institution, but the impact of this position in terms of increasing the racial and ethnic minority population at these institutions is miserably inadequate. Less than 5% of the student body at University of Wisconsin-Madison is composed of racial and ethnic minorities. African-American students compose the largest minority group at this institution, but less than 2% of the student body is African-American. 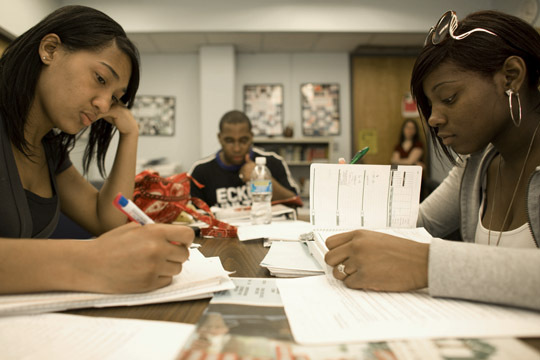 (My comments about my problems with the dismal number of racial and ethnic minority students were placed in The Badger Herald http://badgerherald.com/news/2009/04/28/recertification_in_p.php .) University of Wisconsin-Madison and other selective colleges and universities across the nation are going to have to understand that if they are going to be taken serious about their commitment to diversity, then they are going to have to make this commitment materialize during the admissions and hiring stages. Let’s us be real—at the end of the day it’s all about who an institution lets in and hires that will constitute the type of diversity on its campus. The reality is these selective higher education institutions are not interested in diversity. The rhetoric about diversity they employ is simply about marketing and politics. To move beyond this marketing and politics about diversity viable alternatives to Affirmative Action must be engendered and implemented. Since there are problems with Affirmative Action because it uses racial preferences, then I offer that we replace the racial preferences with income-based (socioeconomic) preferences. Inevitably, the racial preferences of Affirmative Action are going to be declared unconstitutional by a conservative U.S. Supreme Court. Socioeconomic preferences can be used as the plus factor that racial preferences currently receive. In this way, many of those who already benefit from racial preferences will not lose that benefit, but will gain that benefit in a way that will garner greater support and have a greater chance to pass the test of being constitutional perpetually. While I do acknowledge that some consideration for race is necessary, using racial perferences will inevitably be found to be in direct conflict with the 14th Amendment. For those who are proponents of Affirmative Action, this measure would ensure its continuation. Over time, there is a potential for socioeconomic preferences to generate even greater results than racial preferences have and will be able to produce. The final suggestion that I am going to offer at this time is for higher education institutions to develop a more comprehensive notion of diversity. In Postmodernism or, The Cultural Logic of Late Capitalism, Fredric Jameson asserts that the dominant reason efforts to remedy serious problems fail in the postmodern epoch is there is a failure to engage in thinking about the problems comprehensively. All higher education institutions need to have a center that brings all aspects of the university together behind the wide notions of diversity currently existing. Every aspect of the institution should be engaged in the various notions of diversity. In this way, we will approach diversity in a comprehensive way that allows for greater colloboration to achieve a wider and more cognitively mapped notion of diversity. The current approach being used at most higher education institutions is a decentralized approach that leads to diversity being addressed in a highly fragmentary way. For example, predominantly White higher education institutions w have Multicultural Student Centers, LGBT Centers, and etc., but do not make efforts to bring these various groups together to work on diversity issues and will not involve the larger campus community in these efforts. Higher education institutions, therefore, need to work to foster greater colloboration among various diversity interests on campus to manufacture a greater and more comprehensive notion of diversity on campuses across the nation. The reality is we have to consider that we live in a post-Affirmative Action society. Higher education institutions are going to have to make serious efforts to respond to the reality that we live in a post-Affirmative Action society. Let me be clear—this article is not arguing for or against Affirmative Action. It attempts to have us to think about alternatives to Affirmative Action to achieve greater minority representation at colleges and universities across the nation. This article does not attempt to offer the panacea for diversity problems or Affirmative Action, but simply offers some ideas for how we might begin to think about approaching the challenges of diversity in higher education we face in the 21st century. The current minority representation in higher education is miserably inadequate. Let’s begin to think about serious ways to ensure true equity and access in higher education for all people. Do not simply sit around and discuss diversity issues in your little private groups—go to your university administrators and discuss potential solutions to the diversity challenges your institution faces. Let’s act today!